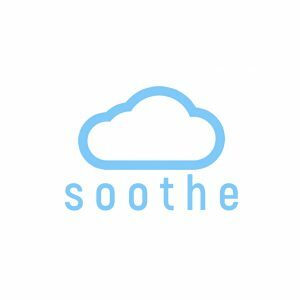 Soothe™ was created after a group of friends discovered the incredible benefits of Cannabidiol (CBD). We were shocked that it was not more well known or readily available. With all of the amazing properties of CBD, we knew we had to share with the world. After diving into the industry, we found a major lack of education for the consumer and transparency from the brands / manufacturers. So for the last year, we made it our mission to educate others and develop high quality, legal, ethically sourced and cruelty-free CBD formulations. We believe everyone deserves peace of mind in their life. At Soothe™, we seek to inspire, cultivate creativity and stimulate exploration. We aim to make positive impacts in mental health awareness and the opioid epidemic while eliminating the negative stigma associated with the hemp industry. We are excited to announce the release of our new gummies! We developed the highest quality gummies on the market. We included B12 vitamins and electrolytes with a unique terpene profile adding energy and mental clarity effects. Each gummy is 5mg and sweetened with natural agave. In addition, we are putting together a bundle pack. This will include a variety of our products packaged together with a healthy discount applied. I will send info your way as soon as this is live. Soothe™ offers premium CBD products. We currently offer: lotions and creams, vaporizers, CBD oil, CBD for pets, and CBD isolate powder. I absolutely love their disposable vape!